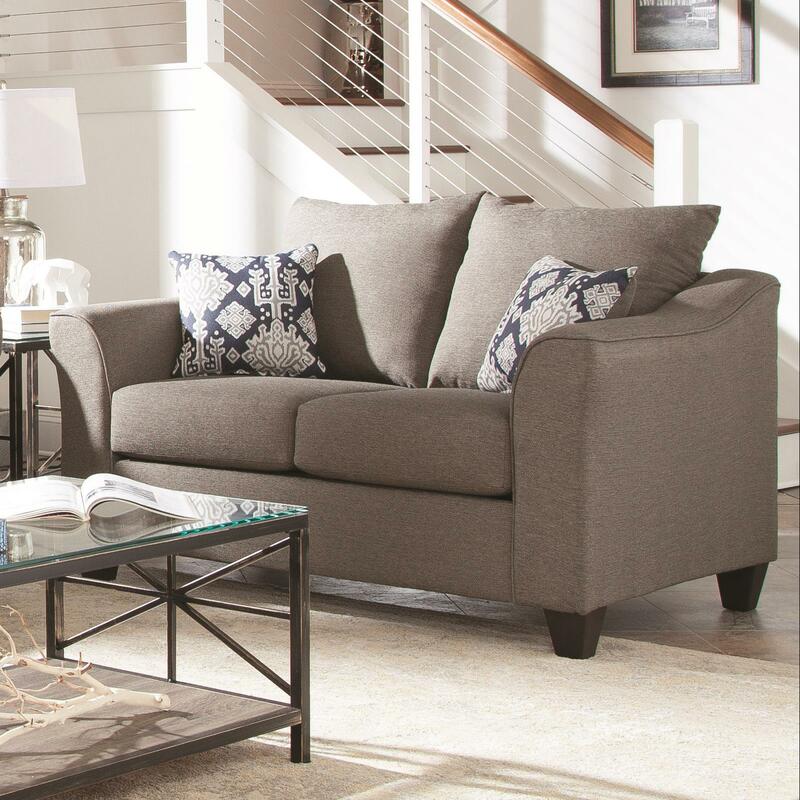 With flared arms and a neutral grey fabric, this stylish loveseat is a perfect addition to your home. With a study wood frame and high density foam filled cushions, this loveseat is a durable option for a smaller scaled space. The legs are constructed of solid wood and are finished in a subtle dark espresso. The loveseat includes two contrasting accent pillows. 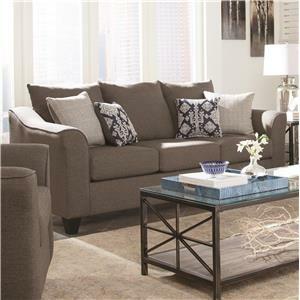 The Salizar Grey Loveseat with Flared Arms by Coaster at Value City Furniture in the New Jersey, NJ, Staten Island, Hoboken area. Product availability may vary. Contact us for the most current availability on this product. 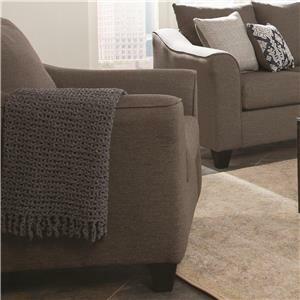 This upholstery collection is perfect for an apartment or condo due to its' small scale and neutral grey fabric. Mix and match between a love seat, sofa, and upholstered chair to find the perfect combination for your space. The frames are sturdily constructed and cushions have high density foam fill. The Salizar collection is a great option if you are looking for Casual furniture in the New Jersey, NJ, Staten Island, Hoboken area. 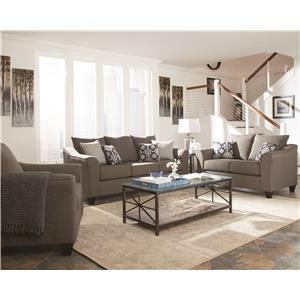 Browse other items in the Salizar collection from Value City Furniture in the New Jersey, NJ, Staten Island, Hoboken area.